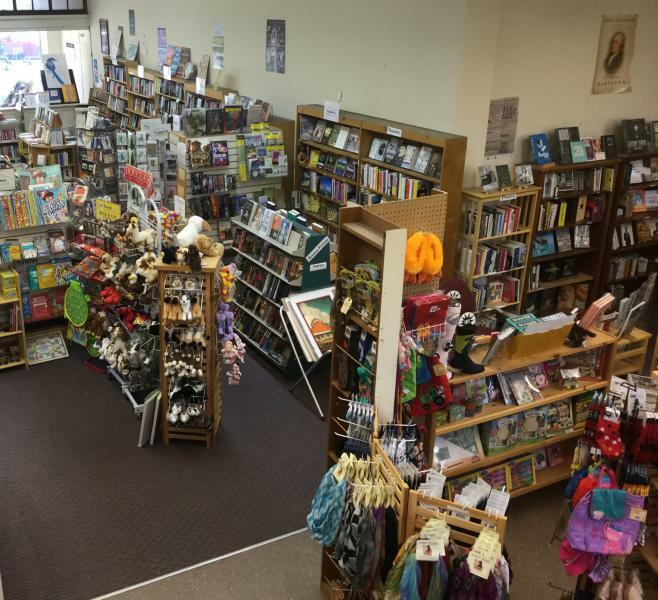 Village Books of Bellows Falls, is a full-service independent general bookstore, located in Southeastern Vermont, with an extensive children's books & toy selection plus gifts for all ages. Kobo EBooks available on our website. Kobo Ereaders sold in the bookstore. Free Gift Wrap Special Orders Free WIFI- Check your email or browse the web at our computer in our cafe with DSL service provided by Village Square Booksellers & SoVerNet. Use limited to one-half hour. Café at Village Square Bookstore: serves Green Mountain Coffee, teas from the Republic of Tea. The café displays Arts and Craft, Gifts, and coloring books and supplies, scarves, socks, etc. and is used for author events and workshops for the whole family. Frequent Buyer Cards: $15 credit after $150 purchase. Ask to enroll in this free program for our loyal customers. Events for the whole family - regularly scheduled events plus author events. Check our Calendar and the Events Menu. Events are normally free and open to the public unless a Workshop fee is mentioned. Call for reservations for events and books available at the event.